Last week, the Czech government authorized the operation without any debate in parliament, Pressenza news agency reported. 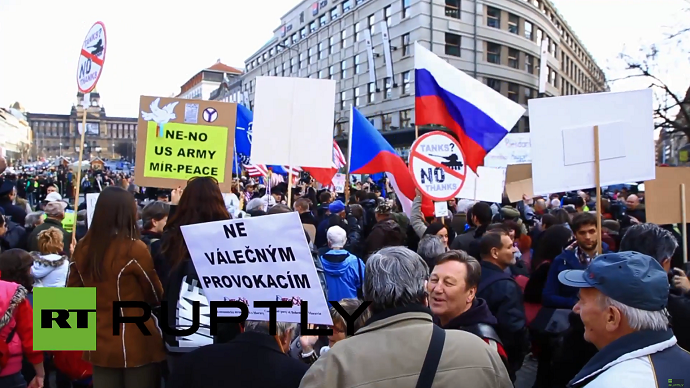 Anti-NATO activists have spoken out against the American military hardware, which is set to cross into the Czech Republic’s territory between March 29 and April 1. The vehicles will make their way back to a military base in the German city of Vilseck. The Strykers are usually transported by rail, but it was decided that they would travel through Eastern Europe to demonstrate a US commitment to NATO and its allies in the region.